Will North Korea Cause the Greatest Pain the Market Has Ever Experienced? Yesterday, North Korea's envoy to the UN warned 'forthcoming measures' will make the US suffer the 'greatest pain it has ever experienced'. This marks yet another escalation in tensions. North Korean leader Kim Jong Un has been shaking up markets across the world with his dire nuclear threats for some time now. And markets across the world have been bouncing around to the news - dropping when NK acts or speaks belligerently, and recovering when things seem to be calming down. With this latest salvo, what happens next? While still remote, any possibility of a war will likely get a lot of big countries involved. What happens to the markets in that case? World War II was perhaps as big and messy as wars get. Few in the Western world escaped its wrath. Many large and important cities around the globe were reduced to rubble. War has countless ramifications, hardly any of which we have the insight to understand. But since we belong to the domain of investing, what would it mean to be an investor in stocks during a time of war? Does it necessarily mean big losses for your stock portfolio? Value investing guru Benjamin Graham was around during World War II. What's more, he was managing money professionally at the time. Indeed, the stock markets did quite badly after the war broke out. It was a period of setback. His fund emerged completely unscathed from the war. Wars, peace, and everything else in between, Graham no longer felt challenged. He felt that he had established a way of doing things to a point where it no longer presented any basic problems to be solved. The investing problems that presented themselves were usually just repetitions of old problems, and that was not enough to keep Graham interested. Indeed, he had developed a fool-proof system. He had cracked the code of successful investing. To the extent, in fact, that Graham decided to shut down his fund and move to California a few years later. He liquidated Graham-Newman Corporation, and that was that. Here's the point: Investing is not about making money on a stock. Rather, it is about following a system that helps you make buy-sell decisions that result in net profits over the course of time...despite all of the ups and downs the market and the economy throw at you. That's the kind of system Graham hit upon. Its ability to successfully absorb unexpected shocks is perhaps its greatest strength. And that's the pedigree from which our Microcap Millionaires service draws inspiration. It may have bored Graham after a while, but having such a system in place is what helps the Microcap Millionaires team and their subscribers sleep well at night, no matter what the future holds. Editor's Note: There's a crazy offer running today where you have a chance to get four of our best services virtually free...for Life! From what we hear this opportunity is open ONLY till 11:59 pm, 14th September. Just click here for all details. Even when North Korea is flexing its muscles and threatening war, the stock markets are buzzing. And companies are leaving no stone unturned to take advantage of this optimism. This is evident from the number of new initial public offers (IPOs). A rising market like this one is an excellent opportunity to raise primary capital as most investors get carried away by the market euphoria and IPO hype, which makes them more likely to overlook the underlying fundamentals of the companies offering shares. Meanwhile, many other companies make the best of the rising markets by extinguishing their liabilities through share buybacks. Even the market regulator has expressed concern about the amount of share buybacks relative to fresh capital in the domestic market. In the past two years, the quantum of share buybacks has far exceeded the amount of new equity capital raised. As is evident from the chart, so far this fiscal, India Inc has extinguished shares worth nearly Rs 235 billion through twenty buybacks - 2.3 times more than the Rs 100 billion raised by way of initial public offerings. Similarly, in the last financial year, companies repurchased shares worth Rs 340 billion through 49 buybacks while 25 IPOs had raised Rs 282 billion cumulatively. In the last two years, buybacks have gained currency as a tool to reward shareholders after the government imposed an additional 10% tax on dividends. Any dividend received in excess of Rs 1 million is now taxable at a rate of 10% in the hands of the recipient. This is in addition to the Dividend Distribution Tax (DDT) already levied on the company. The measure - aimed at those receiving significant amounts of dividends - did not go down well with India Inc. Rather than pay dividends, many companies opted to use their surplus cash on share buybacks, which carry no such levy. With multiple IPO offers lined up, it will be interesting to see if the trend of more buybacks than IPOs continues. Speaking of IPOs, Capacit'e Infraproject's initial public offering opens today. It is an engineering, procurement, and construction company based out of Mumbai. Is the IPO worth considering? Does the company have strong fundamentals? What about valuations and growth potential? Equitymaster Insider Ankit Shah has the answers. To know more, get on the Insider list now. After opening the day in the green, Indian equity markets continued to trade in positive territory. At the time of writing, the BSE Sensex was up 60 points and the NSE Nifty was up 20 points. Sectoral indices are trading on a mixed note with the power and pharma sectors leading the gains. 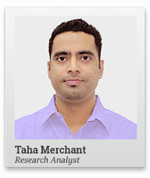 This edition of The 5 Minute WrapUp is authored by Taha Merchant (Research Analyst). Equitymaster requests your view! Post a comment on "Will North Korea Cause the Greatest Pain the Market Has Ever Experienced?". Click here! 4 Responses to "Will North Korea Cause the Greatest Pain the Market Has Ever Experienced?" Dear Taha, it seems you are looking at things from the perspective of WW-I & WW-II. Should there be WW-III, investors, entrepreneurs, and consumers will be all annihilated alike; and, none will be left to talk about all that interests us all for the present. So, investing in gold / equity / debt will alike lose all meaning. Therefore, teach your followers to make hay while the sun shines; should it start raining, none will have any shelter to run to this time around. You wrote about share buy backs. You also wrote that Companies do that to avoid the 10% tax on their major stake holders/promoters who naturally draw dividend in excess of Rs 1 million in addition to the DDT. Does this imply, that after a share buy back, the Companies may reduce the %age of dividend being paid or altogether stop the same?